John Sadler has always been a big believer in the importance of waiver/release agreements as well as electronic commerce. 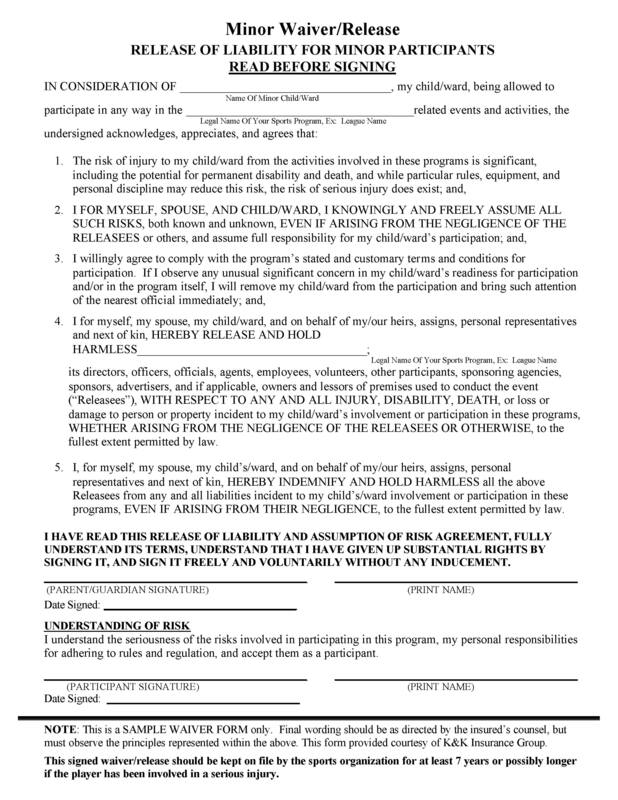 In the past, many sports and recreation organizations opted for online registration, but still administered their waiver/release agreements the old-fashioned way with paper forms. This detracted from the convenience of online registration. Now, a company called SmartWaiver has created an online waiver/release solution that can allow sports organizations to complete the entire registration process, including waiver/release agreements, online. They’ve taken the effort to allow customization of the waiver/release form and to ensure that it’s admissible into evidence. For example, it’s important that minors and their parents sign the waiver/release agreement, and the system has the built-in flexibility to allow this. SmartWaiver was recently interviewed by our client, Sportplex Operators and Developers Association (SODA), which we encourage you to read.